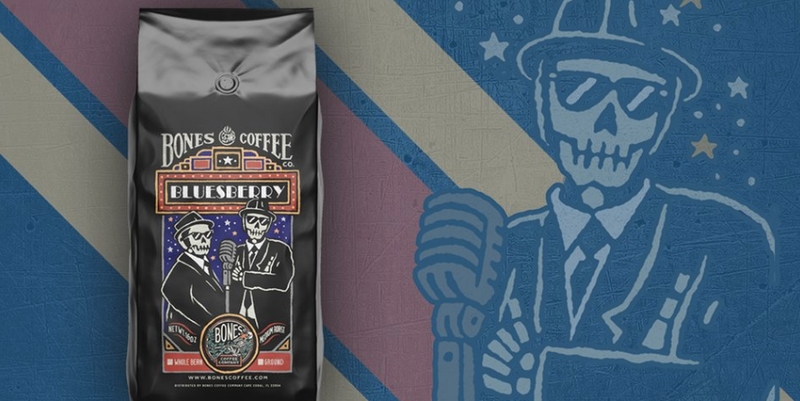 Our bonafide bean writers are always on the lookout for something new like Bones Coffee Company’s recent release of Bluesberry. It’s medium roast Arabica beans infused with blueberry flavor and a hint of cream. Or was it the great label that got our attention?